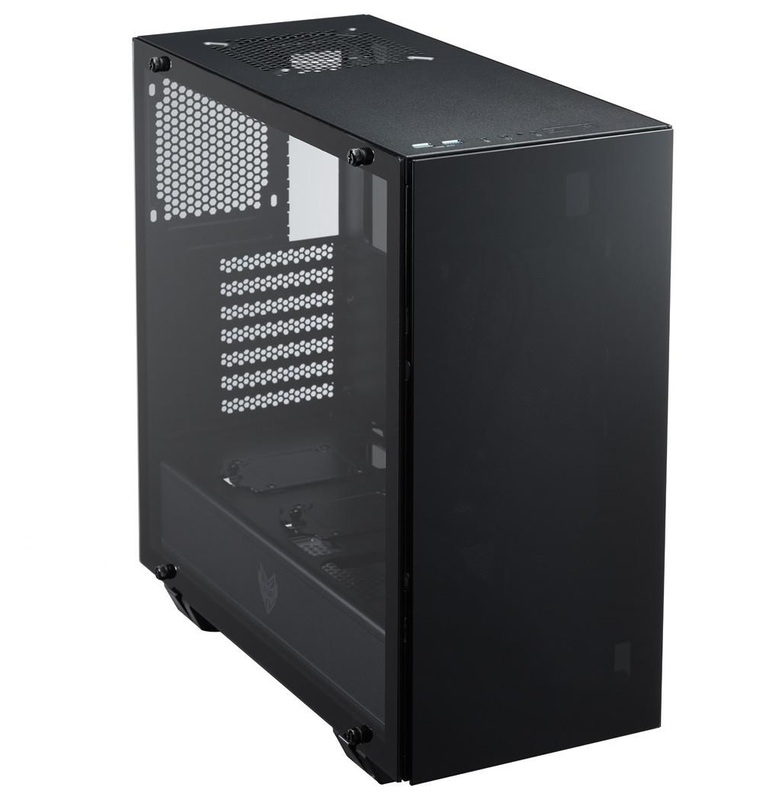 FSP released a new mid-tower case adding to its CMT line, the CMT510. The CMT510 features three panels made of tempered glass designed to show off the system inside. 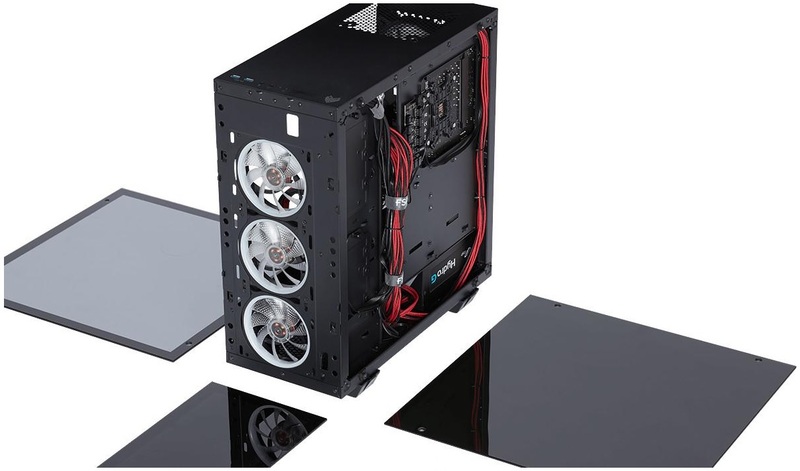 The case supports ATX, Micro ATX and Mini-ITX motherboards, video cards to 400mm in length, and supports up to a 360mm radiator for water cooling. 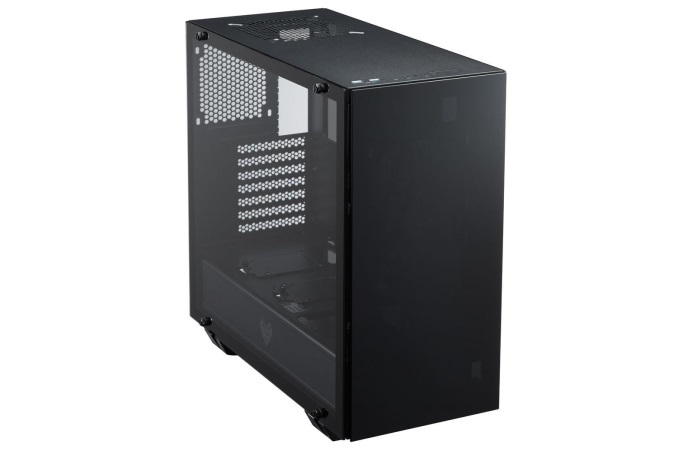 The chassis is all black with a matte coating on the aluminum parts of the case. The tempered glass is tinted to 50% and covers the front, left and right panels displaying what is inside. I have to admit, I am not sure why any case would want to show off what is generally a wild world of wires behind the motherboard. That aside, the front panel IO sits on top of the case and includes a power and RGB buttons (cycle through several lighting effects), two USB 3.0 ports, microphone and headphone jacks, as well as LEDs for power and HDD activity. 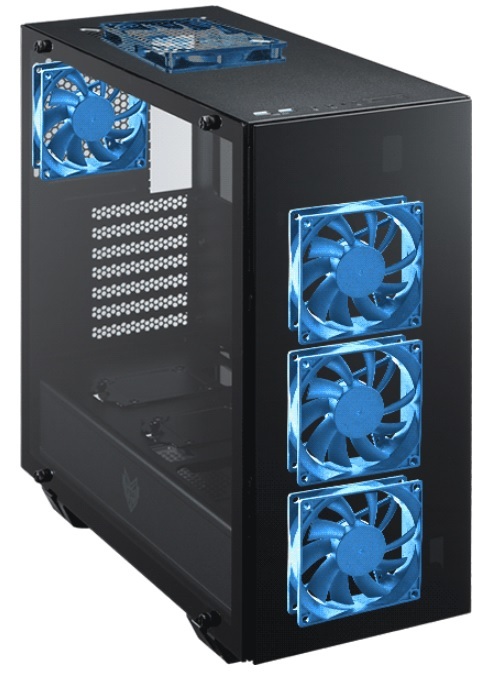 The case includes four pre-mounted 120mm RGB LED fans with three in the front and another on the rear. The top 120/1400mm fan location is not occupied. These plug into a simple fan controller mounted on the back of the motherboard tray. 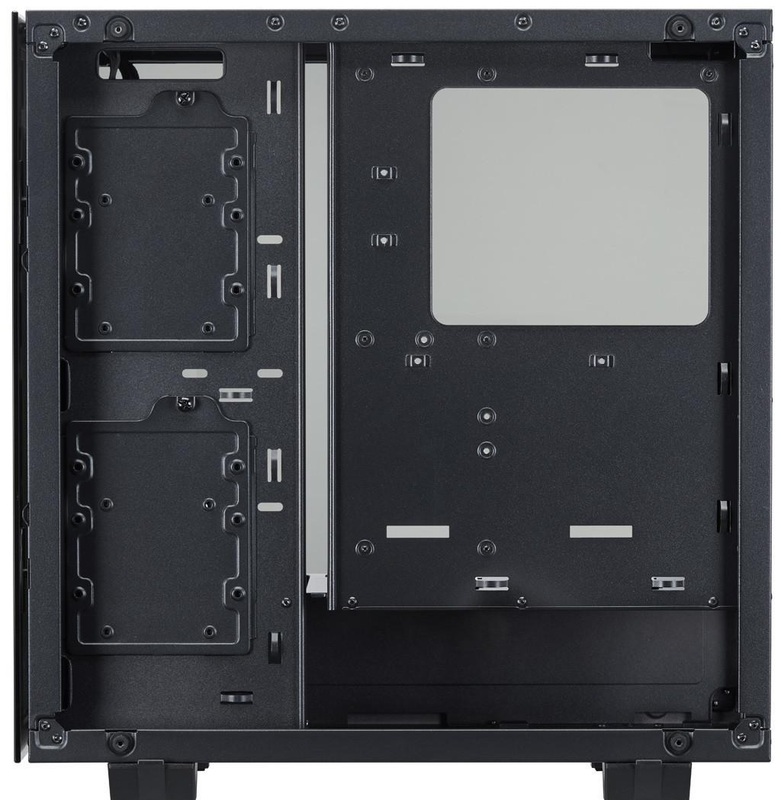 Cable management should be easy with a large pre-drilled slot running the vertical length adjacent to the motherboard. Below there is room for an ATX sized power supply sitting under a dust cover running the length of the case. This hides the cables and should keep that area cleaner. On top of the PSU, shroud are two locations to mount 2.5-inch drives along with two more locations on the back for two 3.5-inch or two 2.5-inch drives. dust filtered airflow is to enter the PSU space fed by most of the bottom fan. The CMT510 supports CPU coolers up to 165mm and video cards to 400mm in length without losing drive capacity. Watercooling is also possible inside with support for either a 2x140mm radiator or a 3x120mm radiator on the front of the case. The CMT510 is available now at an MSRP of $100. HDD/SSD Bays 2 x 3.5" (or 2 x 2.5") and 2 x 2.5"
more space the better, is a massive PITA to NOT have enough room for wiring or very tight bending cables around, there is a market for as small as possible, there is also a market for room to accommodate. 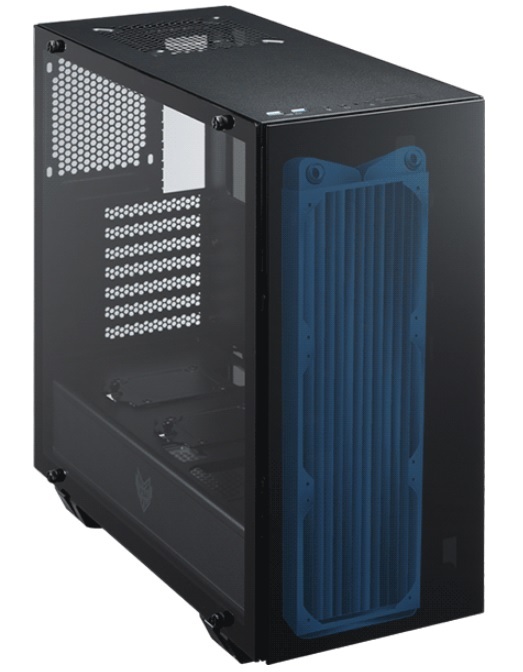 besides the 3 panels of glass, and seems like an open top with no dust filter (and no word on bottom dust filter) seems like a nice design..I got a fractal define C, while it is nice enough case, the lack of behind the motherboard/harddrive area and very limited room for cabling, I would have much prefered the "bigger is better" approach within reason. I do wish this trend of boring looking cases would end soon. It would also be nice if they used all of that open space for something like drive bays or something not for 5.25 bays but 3.5 & 2.5 extra bays would be nice. I hope the next trend will have cases makers dividing the areas of the case up so it give sealed off areas for the CPU chamber then a middle chamber for graphics cards. I did this to my Antec 900 case. I removed my 5.25 optical drives and added a third fan in the front at the top of the front giving me three fans blowing into the case. I then added in a wall that makes the case into 2 chambers 1 for the CPU and the other for the Graphics cards and PSU. The top case fan 210mm is sucking the warm air up and out of the case and the back top fan is also blowing into the case. My temps dropped by 20c on the CPU and about the same for the GPU. Being that my card is from Sapphire and has the TRI-X cooler on it I have the card venting out the side of the case after I modded the side panel. to each own, as long as has proper ventilation, with well designed filtering with space to wire it up easily/safely, having a fully open path of airflow is MUCH better 9/10 ten sectioning things off, far far to many cases seal the PSU and hard drives in the bottom inhibiting airflow to actually keep HDD/SSD in a decent temperature range, or use shrouds to hide the wiring and make it a massive pain in the arse to plug everything up. Nice open cases with place to strap the wiring in is always prefered (for me) there is a reason why MOST cases these days do not section things off, that was the OLD style and generally did NOT help temperatures or noise gave more places for dust to settle. normal airflow is front to mid/top back, the top fan is best off slightly towards front of case rather than trying to compete with the rear exhaust often enough airflow is forced one direction or another which 9/10 means either CPU is hotter than should be, or GPU is, years ago Intel had a chimney and some Dell cases did as well for the CPU to get direct airflow, but, they worked very poorly most times made the fans overwork, starved the cpu socket area for needed airflow, the ram area for needed airflow etc...to have a users moveable divider suppose can kind of make sense, but you do not want this hard mounted touching the board as that can be a very bad idea. A duct of sorts to dedicate air towards GPU front to back (usually coolest air and filtered this way) and maybe another duct directed/dedicated near the cpu area keeping in mind socket/ram area wouldnt be a bad idea, leave 1 duct for air to the hard drives or something wouldnt be a bad thing, but the air needs to be UNBLOCKED. I am with you on the makers need to concentrate on form/function not making all glitzy and fancy lighting when everything else suffers as a result. Yes I think they need open mesh fronts for the air flow. These closed in cases you see so much of now only having slight openings at the sides of the front air really not allowing the front fans to do their jobs at all. The whole reason for having 2 or 3 fans in the front is for max air flow. On my old Antec 900 that I converted it has the mesh like openings from top to bottom now so the front fans are allowed to move max air into the case. The big top fan in my case moves a lot of air so much so that I had to reverse the back case fan to blow into the system case. The CPU cooler is a Zalman 9900MAX Black pearl Nickel Plated. It is pointed up so the fan on it blows straight up into the big top case fan. This cooler is fairly great and does a good job considering it's size when compared to some of today's coolers. In my own case I found that sectioning off the CPU and the GPU allowed for way better cooling for each of them. I no longer have the heat from the graphics card being sucked up to the CPU which allowed for plus 20c drops on the CPU. The graphics card now vents out the side of the case and it never goes over 57c under load before with it just blowing air inside the case it got up to 65c-70c and the CPU was always hitting 75c-79c while gaming it is Overclocked to 5.1GHz now it ranges from 54c-60c in a normal gaming type load. If I was to run the CPU stress testers before the changes the CPU was hitting 80c-88c now it hits 65c-74c in the stress testers which is well within range of this CPU's thermo's now. Idle temps are a lot lower as well. 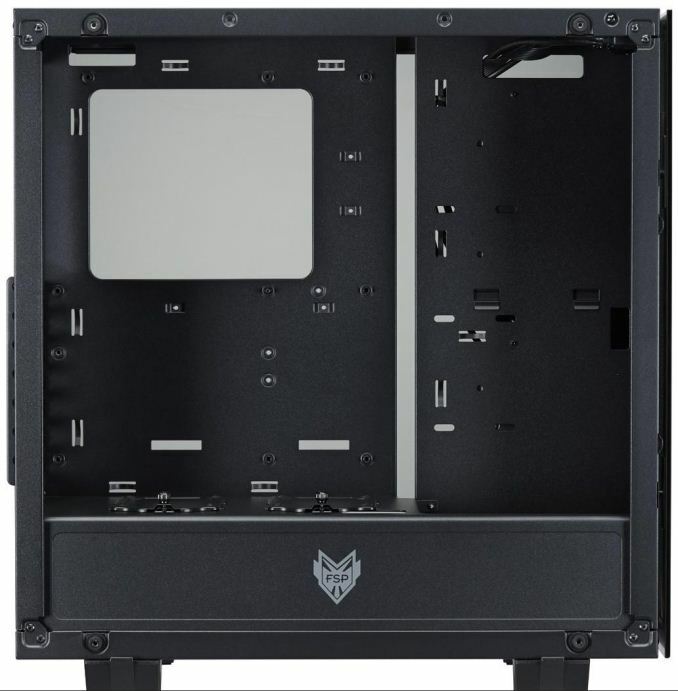 So for me having a case setup like this is ideal & I am hoping that some day we can be able to just buy cases like this because it was a lot of work to get my case like this and the cable management on this Antec 900 is next to not there. I did manage to get all of the wires in behind the back side but it was a task and a half and it was a tight fit to get the back case side on but it did go on and there is a lot of air flow because of the way these cases were made with the drives pointing front to back and not mounted side ways. I choose all thin hard drives so they would not reduce air flow to much and the SSD is well thin anyways. The front of this case looks really really poorly ventilated. And the top fan slot really doesn't look great with just the regular perforation there. I really don't think this will be a great case. in terms of thermals and finished looks. The top 120/1400mm fan location is not occupied. 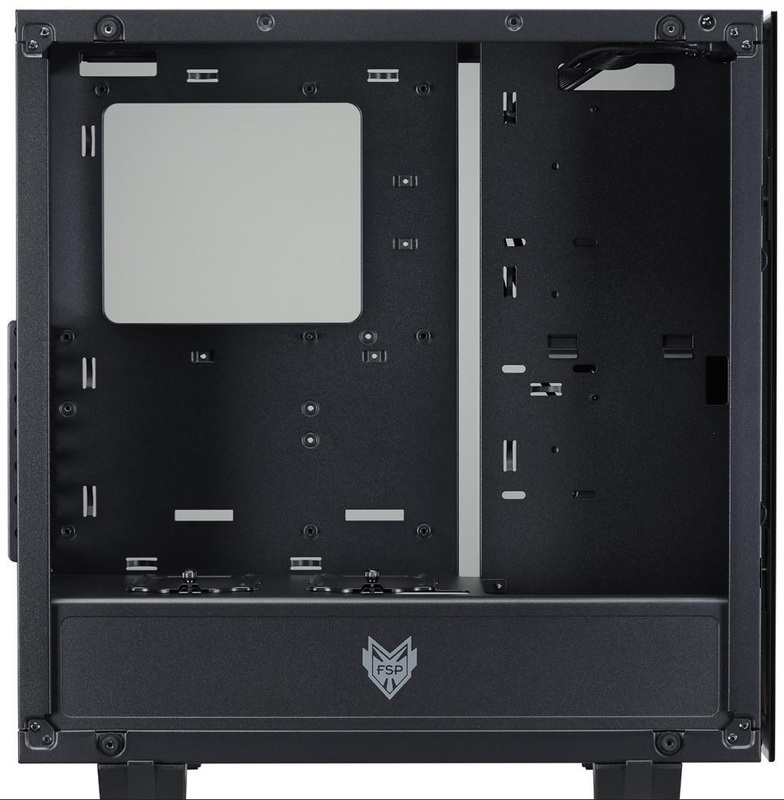 I think it would be a great case for themerals BUT that top of case fan port I would move it a bit more forwards or something and a magnetic filter in the box, hopefully there is enough trays for SSD/HDD included in the box. mine, that is really the only downfall, not quite wide enough to make wiring a bit easier, and front to back is not quite long enough makes wiring the SSD/HHD a major pain cause fingers fight to get them suckers in and the shroud is barely tall enough....well thought out design just needed a bit more room length/width/height.